Shatta Wale’s baby mama, Michy has finally responded to rumors that her new mansion was purchased by former Blackstars player, John Paintsil. Ghpage.com reported to you yesterday a wild rumor that the alleged new boyfriend of Shatta Wale’s baby mama bought her the new lakeside house in Kumasi she has been flaunting on social media. 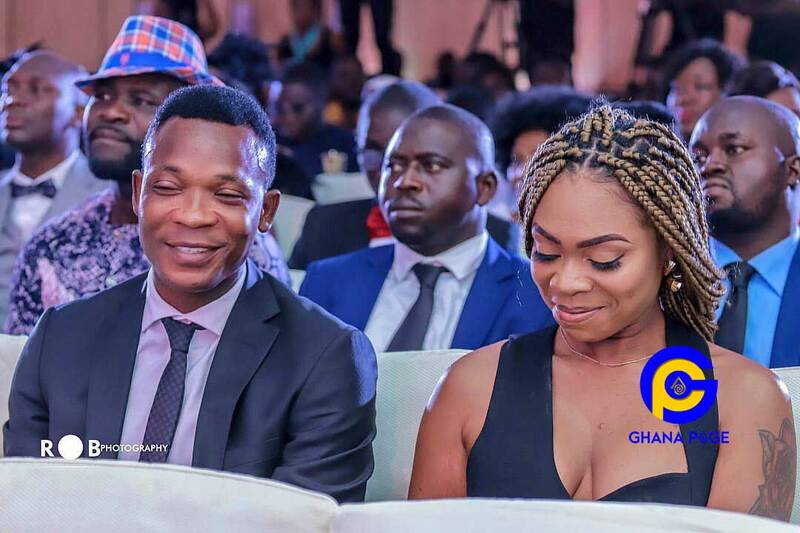 The reports revealed former Ghana Blackstars Player, John Paintsil as the alleged new boyfriend of Shatta Michy who bought her the uncompleted new house. According to the popular IG blogger “Cutie_juls,” John Paintsil is the new boyfriend of Shatta Michy and he has even started splashing a lot of cash on her. “What musica can’t do, black stars can do better ? ?Yours truly #cutiejuls solemnly confirms without fear or favour that Sister Michelle’s boyfriend, Bro J of Ghana Blackstar Football club has paid fully for a yet to be completed house for Sister Michelle. He has even put money aside for them to complete it to Sister Michelle’s taste. So when Bro Musica was sending Sister Michelle out to sleep with men for his selfish gains, little did he know one will actually fall in love with her. Some friends can actually hook you up to correct guys. Ladies, get yourself a friend 4-real and the foolishness on your eyes go tear kpakam. I don’t even know if I should continue this kokonsa. This isn’t #amebo oo, it’s a kokonsa cos it’s a Ghana gist and not a Naija gist. However, Michy reacting to the alleged story has emphatically denied it through a post on her Instagram page. According to the former girlfriend of the dancehall artiste, no one should take her credit to anybody because she bought the house herself with her hard earned money. 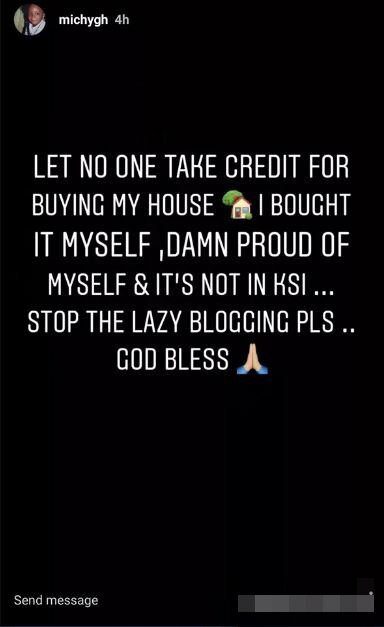 “Let no one take credit for buying my house, I bought it myself, Damn proud of myself & it’s not in Ksi…..Stop the lazy blogging pls….God bless,” Michy wrote. Well, I trust Michy is a hardworking woman who can acquire a house on her own and wish her blessings for her to achieve more in the remaining years. The post Michy denies viral news that her mansion was sponsored by John Paintsil appeared first on GHANAPAGE™.